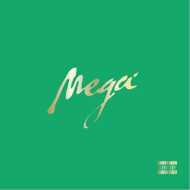 Cormega (Mega) brings you a secret project entirely produced by STREETRUNNER with Co-Production by Tariq Azzouz. Mega describes this as art, culture and vibes. This project has only one feature by Havoc of Mobb Deep on the song “Live Your Best Life”. All Instrumentals are also featured on this release. Lyrics to all the songs are printed on the back of the vinyl record jacket and in CD and Cassette artwork. This is Cormega’s first solo release since his 2014 Large Professor produced “Mega Philosophy”.